KhetzaL style is deeply influenced by his musical studies, violin and rudiments of music during twelve years, that gave him the necessary skills for adding layers of melodic phrases and arpeggios in almost every track he produces. During the nineties, he discovered electronic music and then trance, goa and ambient. He was strongly attracted by those music styles and began naturally to explore them by himself since 1998. Every track tells an imaginary trip in countries where one can meet traditional instruments with deep and enchanting resonance, along with a lot of sound appearances of Nature, all this blended in an evocative form. The tracks beat vary from 100 to 150 bpm. Rhythms are very straight, with acoustic tones blended with electronic sounds, most of the time the beats are binary. Most of the synth sounds are created by hardware synthesizers, fifty analog, fifty digital. On top of that are added samples of voices, animals, acoustic instruments and strange noises. There are a lot of very melodic lead synths layers, playing arpeggios or positive melodies, in superimposed or successive way. KhetzaL has released ambient and trance tracks on a few labels. First album Corolle is released by Suntrip Records in october 2005. 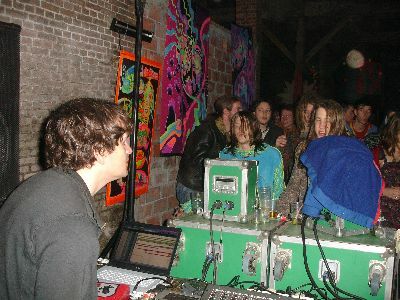 Since march 2005, KhetzaL has started a new musical project with his friend DJ Chaï. This project, called Avigmati, is the combination between melodic trance and full-on energy, psy sounds and a lot of funny samples from everywhere. Avigmati will keep alive the positive vibes mixed with strong dancefloor beats. KhetzaL and DJ Chaï have decided together to launch the trance music label Avigmatic Records that will release and do the promotion for positive full-on trance from all around the world.